After high school, King turned down several scholarships to attend Fisk University, a black institution in Tennessee. He was tired of being the only black in all-white schools, he said. After moving to San Francisco in 1982, King created his own company, Alonzo King LINES Ballet. He also developed his own choreographic style by combining the clean lines of classical ballet with non-Western spirituality and movement traditions and the use of structured improvisation. 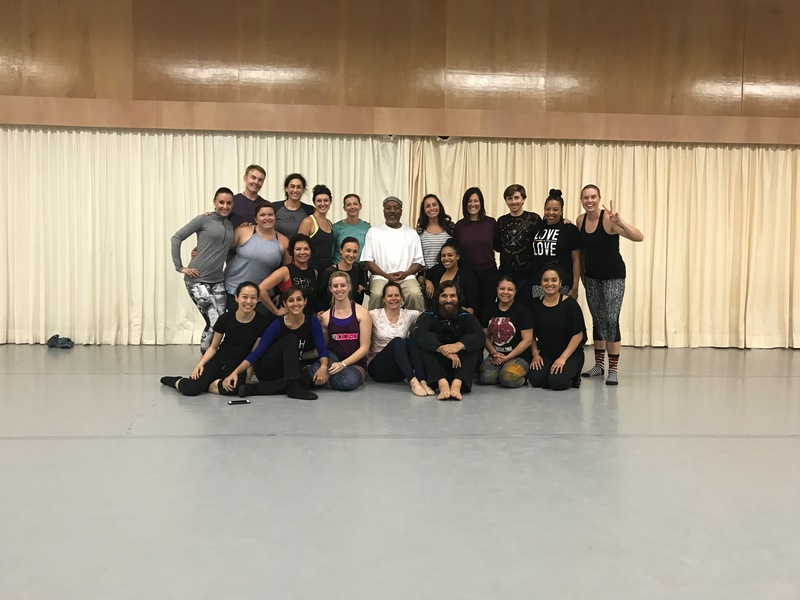 In 2006, Alonzo King’s LINES Ballet formed a partnership with Dominican University of California to create the first joint Bachelor of Fine Arts in Dance on the West Coast. This is the only BFA offered in the U.S. that is led by an active master choreographer. The first piece on the May 1 program at Northrop premiered in November 2015. The Propelled Heart, pays tribute to the power of song. Grammy Award-winning singer Lisa Fischer, who was a former back-up artist for Aretha Franklin. On stage, 12 dancers channel Fischer’s inspiration and explore the kinetics of the human voice and the communicative potential of the body as an instrument. The second piece in Northrop’s performance, Biophony, also premiered in 2015 (in April). It studies the sounds in various biomes and expands on those through dance. Called "riveting" by the San Francisco Chronicle, Biophony was created in partnership with natural soundscape artist Bernie Krause and composer Richard Blackford. Alonzo King and Bernie Krause discussed their collaborative process with KQED's Scott Shafer. Movement 7 of Biophony is titled A Gift of Bees. The University of Minnesota Bee Squad will be at Northrop for the May 1 performance to discuss beekeeping and offer limited honey tastings. As we sat around the feet of Alonzo King this past summer reflecting on a day of working through nerves, excitement, and physical and mental exhaustion, we found ourselves completely inspired and humbled to work with such a passionate, inspiring creator and teacher. 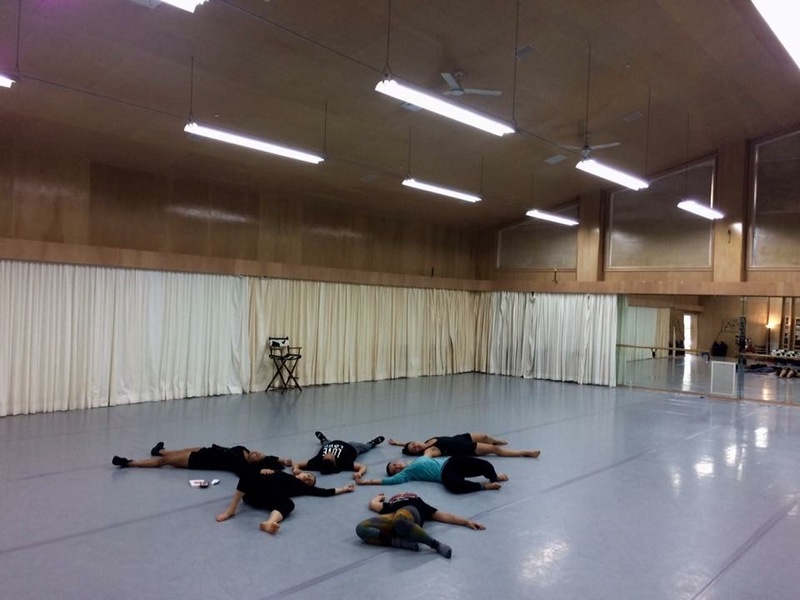 As part of the MFA in Choreography program at Jacksonville University, I was lucky to be part of two cohorts of 10 choreographers who spend their first week of school at White Oak Plantation in the Baryshnikov Dance Studio as we completely detach from the outside world and selfishly immerse ourselves in our craft. For the first three days of school, King led us down a path of discovery of self, movement, and creativity within the mind and body. Alonzo King has the ability to connect with people--to really see who they are deep inside. His words and energy inspire questions and reflection. As artists, we often doubt ourselves and live in the familiar, but the time we spent with King inspired us to step outside our comfort zones and push ourselves to make new choices and explore new ground. King created opportunity for us, as dancers, to learn new ways of generating choreography and movement alongside a practice of how we look at movement through the lens of a choreographer. His workshop was an emotional, creative, and inspirational three days that has carried on into my practice in every way. I want to thank Northrop for making the Alonzo King experience possible for my students and the community. The author is a dancer/choreographer/educator in Minneapolis and artistic director of Borealis Dance. She graduates from the MFA in Choreography program at Jacksonville University this month. Bernstein began playing the piano at age 10, and at age 40 he became the youngest music director of the New York Philharmonic ever. Bernstein was shot into stardom while filling in for a sick colleague at a Philharmonic concert. The New York Times put the show on the front page the next day, cementing Bernstein’s spot in the limelight. Bernstein and John F. Kennedy both attended Harvard, something that led them to become friends during later years. After the president’s assassination, Bernstein conducted Mahler’s “Resurrection” Symphony No. 2 as a part of a nationally televised memorial in JFK’s honor. Bernstein had his own TV program, Young People’s Concerts, which aired on CBS from 1958-1972 and sought to bring music education into living rooms around America. He received an Academy Award nomination for his score of On the Waterfront (1954). He is also widely recognized for his musical compositions for On the Town (1949), Wonderful Town (1958), Candide (1956), and, of course, West Side Story (1961). He truly spent almost his whole life working on his music. Bernstein announced his retirement on Oct 9, 1990, just 5 days before his death.